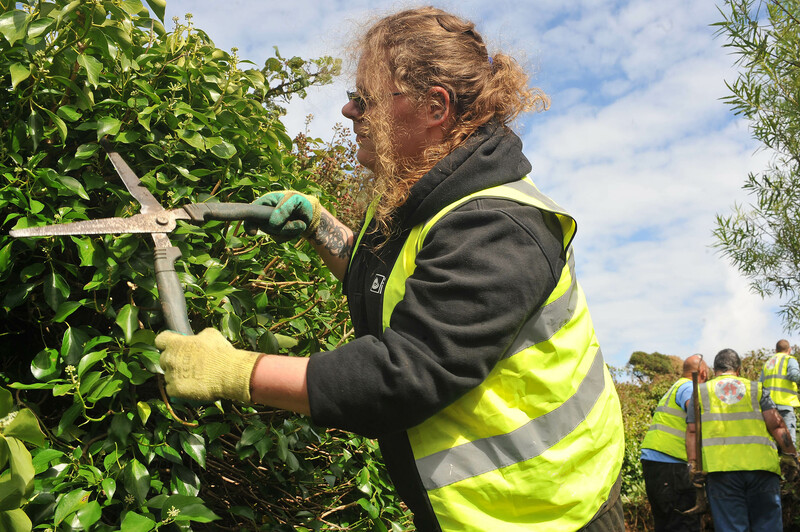 West Cornwall jobseekers have been helping with conservation at Bosavern Community Farm in St.Just as part of a National Lottery funded project. 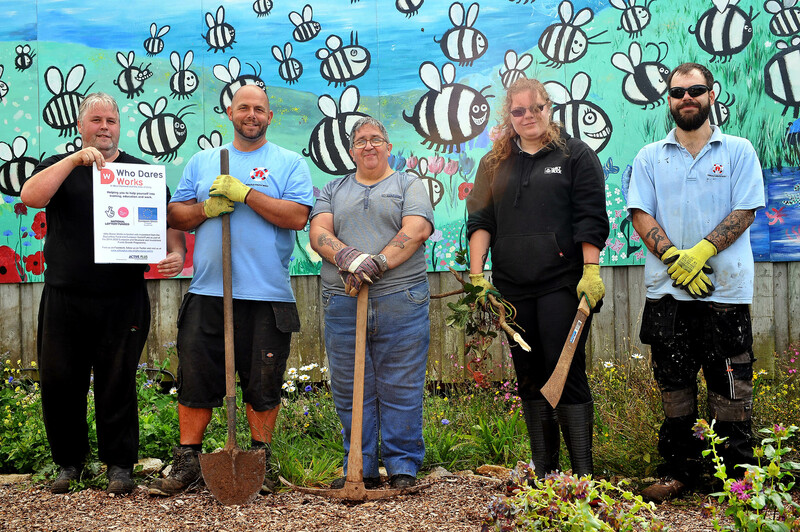 Ten participants from Who Dares Works spent a week preparing land for the conservation of Cornish Black Bees. They also fenced a chicken run and built a new, farm-sized compost heap, gaining valuable work experience and skills while boosting confidence and wellbeing. Who Dares Works is a partnership of 17 organisations, led by Active Plus, funded by the European Social Fund and the Big Lottery Fund, helping people in West Cornwall and the Isles of Scilly to get back into training, education and work. Who Dares Builds, delivered by Rebuild South West, is one of the work-related opportunities that participants can undertake. The group will continue to work with mentors to look at their next steps, including further work related activity and specialist support, while individuals will continue to volunteer weekly at the farm.